Janneke painted nine angels on canvases measuring 2.20 x 1.00 meters. 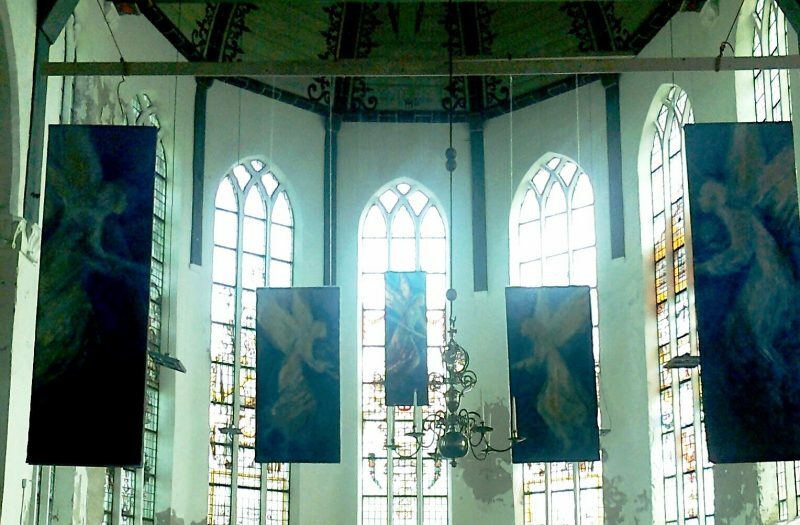 Actually 11, because two angel ccanvases are permanently on display in the church in her birthplace Oudewetering. These canvases hung in a number of churches in North Holland, lastly during the exhibition in the Bonifacius Church in August 2018. The canvases can be rented. Please contact us via the contact form.